Happy 2018 to everyone! If you’ve looked at our website you will notice I’ve done a terrible job keeping everyone up-to-date on the golf from out here on the road. I am going to try to do a much better job and post at least four times throughout the year. 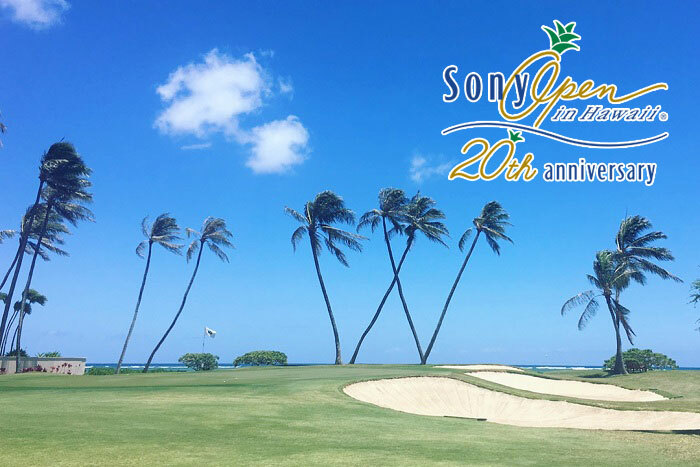 We are currently out in Hawaii to start our 2018, the big chunk of the wraparound season, at the Sony Open! 2018 has a different feel for us since Webb has finally beaten the ban the USGA put on his putter in 2015. Webb went to a Kuchar style with a claw right hand low grip on Wednesday of TPC last year. From that point forward we moved up 100 spots in putting and got back to the Tour Championship in Atlanta for the first time since the putting ban. We were also able to get back in the top 50 in the world at the end of the year which will make scheduling much easier in 2018. Expectations are definitely high this year. We missed the 2016 Ryder Cup after qualifying in 2012 & 2014. Our goal would be to make it on that team in Paris to attempt to win the cup on foreign soil for the first time in two decades. Winning a tournament would also be high on our list as it’s been over four years since our last win. This period of average play has definitely reminded us how fickle this game can be. Last but not least, thank you to everyone who has supported, encouraged and prayed for our Tesori Family Foundation. We are going to continue one of our favorite activities by doing A Mile In My Shoes again in 2018. For those who are new to this program, we raise money by accepting pledges for a certain amount per mile that I walk this year on TOUR. Our goal is to raise $13,321 for the year. That might sound like a lot but if we can get just 321 people to pledge a nickel (yes, just 5 cents) per mile, we’d surpass our goal. I’m going to start the year off again this year by pledging $1.00 per mile. You don’t pay up front, we will collect your pledge in October when the season ends, hopefully in Paris at the Ryder Cup. Head over to our AMIMS page to learn more about why we chose that goal and how to get involved. And don’t forget. Anyone who pledges before the US Open will get to guess how many miles I’ll put on my sneaks (and my Phits orthotics) this year. The person who guesses closest will win a 2019 PLAYERS Championship prize pack valued at over $5,000. So check it out and get involved. You can even pledge a flat amount or as little as a penny per mile. Yep. A penny! Every penny counts. Thank you to everyone again for your support and let’s go get a big 2018 season!